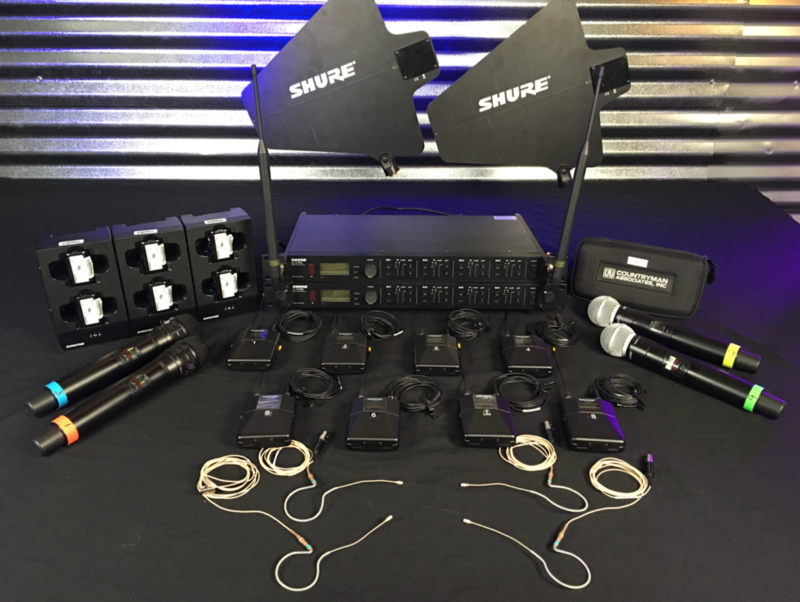 Rent the Shure ULXD4Q from Absolute Rentals. Rent the Shure ULXD4Q Quad Channel Digital Wireless Receiver from the team at Absolute Rentals. This system offers four channels of uncompromising audio quality, RF signal stability, and advanced setup features in a space-efficient single rack unit. Rugged yet lightweight and compact, the 1RU all-metal chassis houses four independent receivers, each with its own audio and RF meters, gain control, and XLR outputs that can be either direct or summed for flexible signal routing.